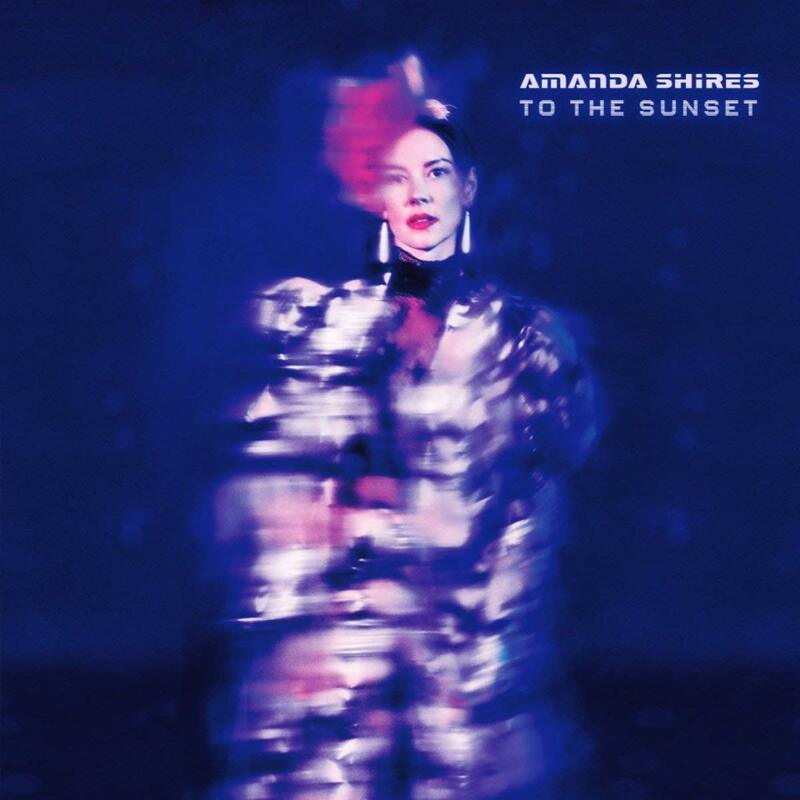 Fire Note Says: Amanda Shires’ may be best known as Jason Isbell’s wife and violinist in The 400 Unit, but on her 7th solo album she expresses her own poetic voice. Shires may have picked up the Emerging Artist of the Year Award at the 2017 Americana Music Honors & Awards, but like the woman in her song, on her 7th solo album, To The Sunset, with this year’s model her voice may still be a little bit country, but she’s more than a little rock and roll. These days, Shires is most commonly recognized for her violin work and backing vocals with her husband, Jason Isbell’s band, The 400 Unit, but she’s also worked with John Prine, Todd Snider, and Justin Townes Earle, as well as her own songs and albums, and in 2017 she also completed a Masters of Fine Arts degree in poetry. Strictly speaking, Shires has not turned her back on Americana and alt/country, but she and producer Dave Cobb have broadened the boundaries to take in a strong pop and rock vibe. While Isbell’s cut through the mix throughout, Shires’ violin playing is les obvious, run through special effects. She may take on the darker feelings of loss, in “Take On the Dark,” but it’s more a rock anthem then a tears-in-your-beers country crier, and even the sad tale of suicide that ends the album (“Wasn’t I Paying Attention), it’s a fact of the matter telling with a solid, somewhat haunting rock hook in the chorus. Amanda Shires may be leaning on Isbell’s guitar here sound-wise, but as a songwriter and storyteller she’s shining in her own right, singing, playing her violin, and creating songs that refuse to stand in even his very long shadow.